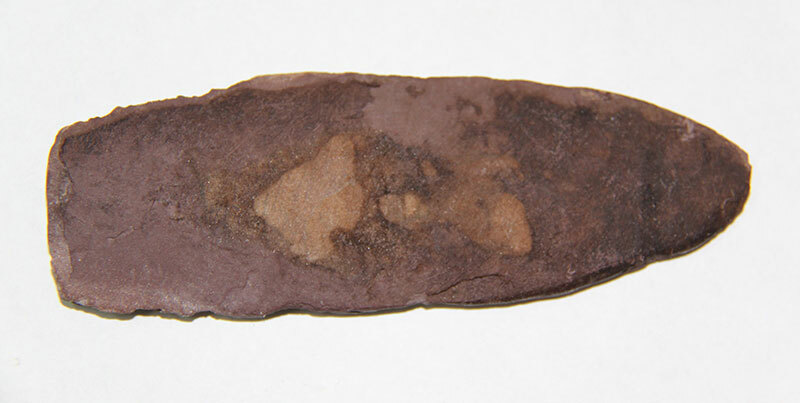 The earliest artefacts recently found in the region of Waskaganish date to some 3000-3500 years old. Human presence in the James Bay area is believed to have begun some 7000 years ago, although the earliest artefacts recently found in the region of Waskaganish date to some 3000-3500 years old. Aboriginal hunting groups migrated from the south and west, first as seasonal hunting parties and later permanently establishing themselves in what is known as Eeyou Istchee (the Cree traditional territory in eastern James Bay). Although populations fluctuated over the centuries, the pre-contact period is characterized by a subsistence economy based on hunting and trapping of small and large game, fishing and seasonal gathering. According to the availability of resources, Cree hunting groups composed of approximately 15 to 25 individuals (3 or 4 families), seasonally moved around a certain territory, most often inland close to watersheds (Morantz, 1984; Levesque & Bernard, 2001). Social relations and territorial boundaries remained flexible, depending on the needs of each hunting group, as well as the availability of resources. Cree society was organized in specific bands composed of hunting groups, either related by blood or affinity that generally met in the summer and parted ways for the rest of the year. "The Crees were egalitarian in their practices, sharing the harvest or a common dwelling among three and four nuclear families" - (Morantz, 2002). Each hunting group recognized the authority of one individual whose knowledge of the territory and its resources was most detailed and whose bush skills could assure the survival of the group. Some research concludes that the ‘leader’ enjoyed usufruct rights over a given territory, but it is most probable that such right was held by the whole group as it was beneficial for all the members especially since several ‘leaders’ could be part of one hunting group. Thus, the hunting group constituted the social, economic and political unit of the Cree society for most of their history (Levesque & Bernard, 2001). Relationships between Cree and other aboriginal groups were mostly centered on trading moose hides for ‘cereals’, ‘indian corn’, and tobacco. Research shows that they probably maintained contacts with Algonquian-speaking groups from Saguenay River and Lac St. Jean (Innu) as well as with the Nipissing, and indirectly with the Huron and Ottawa of the Georgian Bay-French River area. Samuel de Champlain was the first to record information about the extensive intertribal trade in 1603 and in 1661, Jesuit missionaries travelling northwest from Tadousac reached Nekouba (Lake Ducharme), the site of an important annual Aboriginal fair. Apart from trading, oral Cree tradition and historical records speak of recurrent incursion of Iroquois parties into the Cree territory. Such incursions were recorded by Jesuits missionaries and French and English traders as early as 1609 (Hunt, 1940; Chism, 1988; Morantz, 1984). What is known today as Waskaganish was a resource rich area frequented by Cree hunting groups throughout the year and a possible summer band meeting place. It was first reached by Europeans in 1668. Chism, J. 1988. 17th Century Events at Waskaganish : A Preliminary Historical Report within an Archeological Perspective. Hunt, G.T. 1940. 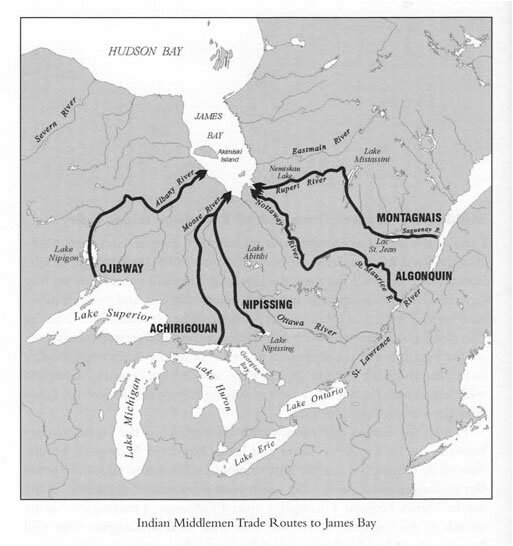 The Wars of the Iroquois: A Study in Intertribal Trade Relations. Madison: The University of Wisconsin Press. Lévesque, C. et N. Bernard. 2001. « Histoire et changement social chez les Cris de la Baie James ». In Atlas Historique du Québec. Tome V : Le Nord. Habitants et mutations, G. Duhaime (Ed. ), p. 54-68. Québec : Les Presses de l'Université Laval. Morantz, T. 1984. Economic and Social Accommodations of the James Bay Inlanders to the Fur Trade. In Kretch (Ed.) The Subarctic Fur Trade: Native Social and Economic Adaptations, p. 55-80. Vancouver: The University of British Colombia Press.